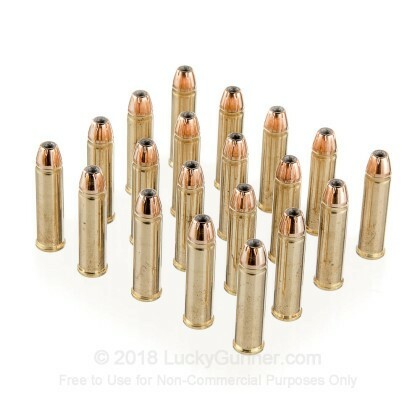 These .327 Federal Magnum defense rounds from Buffalo Bore enable shooters to outpace most factory shelf loads without pouring time and effort into handloading. This load profile is comprised of a reloadable brass casing fitted with a non-corrosive Boxer primer and a standard pressure propellant charge; this powder includes flash suppressant in its mixture which reduces night blindness for more accurate follow-up shooting. 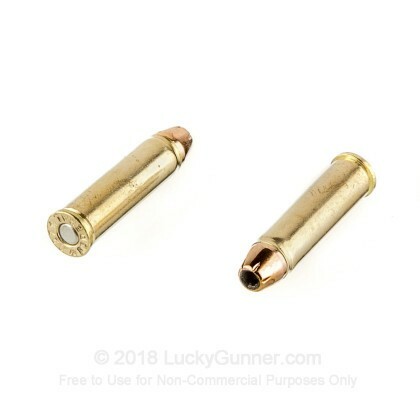 Each cartridge is crowned with a 100 grain jacketed hollow-point (JHP) projectile which produces relatively light recoil and a flat trajectory. This particular .327 Mag JHP design utilizes symmetrical skiving around its cavity mouth which promotes reliable expansion. 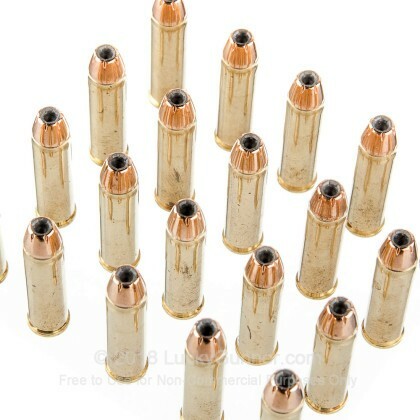 The bullet yields 1,315 feet-per-second of muzzle velocity when fired from a three inch test barrel. During entry into a threat, the mushrooming projectile creates a wider wound cavity and dumps all of its energy into vital zones of the target. In effect, a quicker stop is achieved while the risk of over-penetration and collateral damage is nearly eliminated. 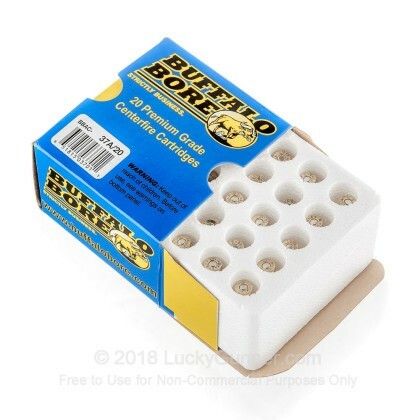 Buffalo Bore is an American company which has always been known for pushing the limits of conventional loads, testing their products with stock firearms, and tailoring their cartridges to the needs of their customers. 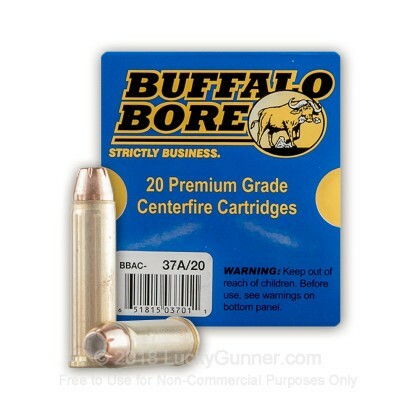 We don't have any reviews yet for this particular .327 Federal Magnum ammo from Buffalo Bore. 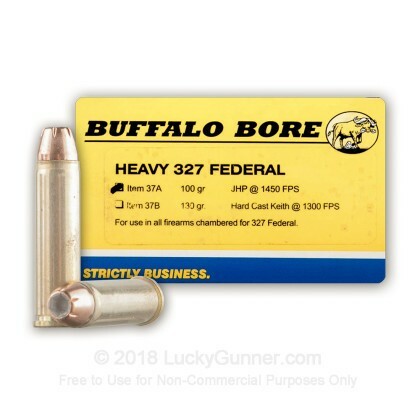 If you'd like to be the first to review this particular .327 Federal Magnum ammo from Buffalo Bore, fill out the form below.